Around this time of year, there are going to be plenty of events that have to be planned out. For the most part, we all know that Thanksgiving is coming at the end of the month. That day alone is going to need just about all your attention when the time comes. Considering the fact that a lot of food is going to be made, you are going to need all the help you can get. Now serving your favorite food on Thanksgiving is a must, but some things are harder to make than others. Like when it come to rotisserie, things can get a bit hectic. Foods like Gyros can be hard when it comes to simply cook on an open grill. Don’t you wish there was an easier way to get the job done without the hassal? Well, you are in luck because I happen to know of a product that can help you in no time at all. So with that being said, check out all the information I have for you below. Being that the size of a Gyro Cone is practically huge, it won’t be easy to just cook normally on a grill. Well, now you won’t have to struggle and stress over such a task. It’s time you got your gyros when you want them thanks to the all-new GyrosQ. 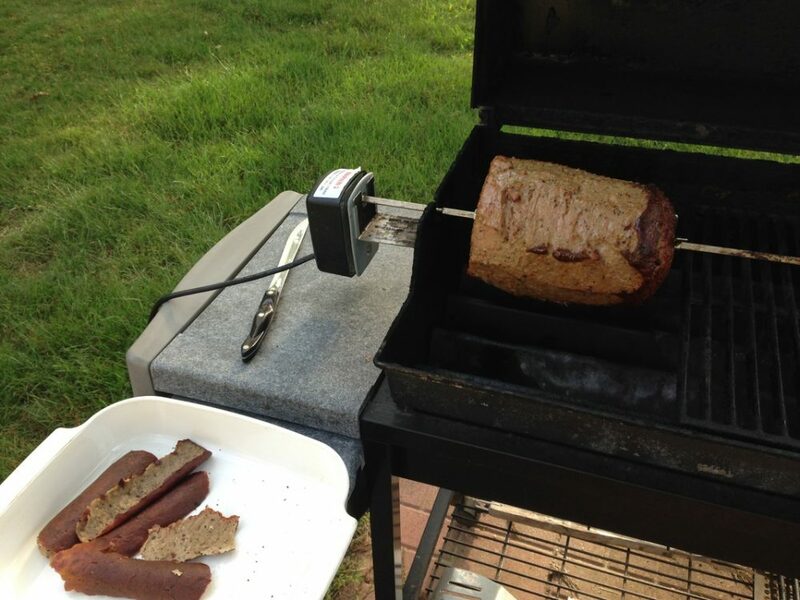 With the help of the GyrosQ, grilling a Gyro Cone will be easier than ever before. This incredible patent pending design is made, specifically, to hold 10lb or even 20lb Gyro Cones! The GyrosQ is a special rotisserie adapter with a unique centering core custom designed to fit a Gyro Cone perfectly. It’s centering core holds the cone snuggly and perfectly balanced. Along with the help of the 4 tines which keep the semi-firm meat from falling or snagging! You will never have to struggle with a Gyro Cone again! The time for the perfect rotisserie to be served at the dinner table for Thanksgiving is now. All you need is this outstanding product to help you with the task. So check out all the info I have for you above.